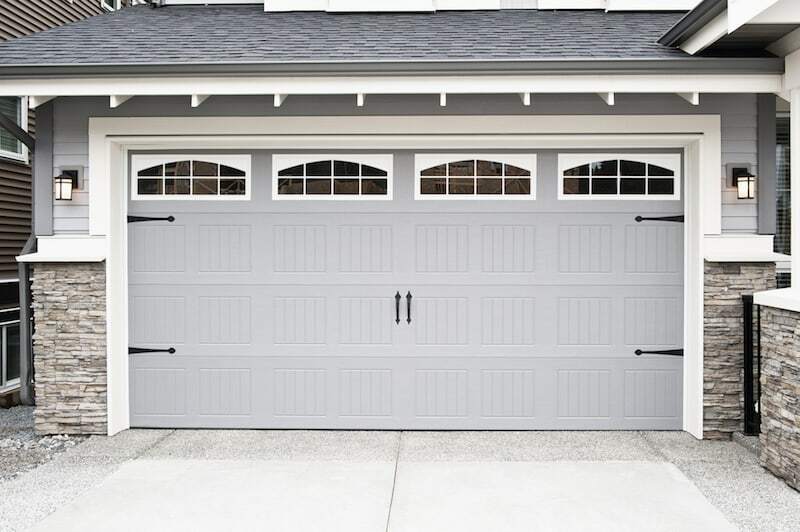 Are you in need of a brand new garage door? If so, you may have some questions about garage door installation. You may also be handy around the house and want to take care of the job yourself. However, installing a garage door is a big job, and requires skill and precision. In order to protect your family and your property from any harm, you need your garage door to be installed perfectly. Of course, you also want your garage door to function correctly. A garage door must be installed and repaired perfectly if you want it to run correctly. Additionally, the scope of the job of installing a garage door is quite large and potentially dangerous. In order to get the job done correctly, and to avoid personal injury, you will want to hire a professional from Garage Door Guru for the job. Below are a few reasons why it is best for you to hire one of our team members for your garage installation. Although you may think installing a garage door is a viable do it yourself job, it is not usually the case. Often do it yourself videos make a task look easy enough for anyone to accomplish. Why is that? Well, usually the person doing the video is an experienced and seasoned professional. Although it may seem very easy, installing and repairing garage doors is quite intricate if you do not have the proper experience. The team of professionals at Garage Door Guru have been extensively trained in garage door installation. They are all completely certified and have all the necessary skills to do the job correctly to ensure that your garage door will function properly. In addition to this they will also be able to do the job quickly, saving you time and possible frustration. When it comes to garage door installation, hiring a professional from Garage Door Guru means that they will show up to your home with all the right equipment for the job. They will have the correct parts for your door as well, including the garage door opener, which is vital to the function of your garage door. In order for the door to work properly, it needs to have an opener that is the right weight and size of your door. Our installation professional will know exactly what to look for just by inspecting your current garage door. There are many different aspects of garage door installation and repair that must be done exactly in order for the door to work well. Some of these aspects include the proper alignment of the photo eye on the garage door controller, as well as correct wiring, and the securing of wiring. Other components that need to be installed completely correctly include the garage door’s pulleys, springs, and cables. The weight of the door must also be properly balanced. It is vital that these steps be done correctly to ensure the proper function of your garage door and the safety of your home. Garage door installation and repair of garage doors can be dangerous, especially when dealing with certain parts such as the springs. Garage doors themselves can actually pose a safety risk to you and your family. Most garage doors are large, heavy, and difficult to install if you do not have the proper experience. In addition, installation of garage door openers requires working with electricity and it takes training to identify a properly grounded power outlet and extra safety precautions to install the electrical wiring as well. One of our professionals will also be able to test the door after installation is complete to ensure all safety measures are up to code and working properly. All of Garage Door Guru’s garage doors come with a warranty. However, that warranty is often null and void if you attempt to install or repair the garage door yourself. If you plan to install or repair a garage door on your own, you are very likely to spend many frustrating hours without the guarantee that you will end up with a garage door that functions correctly and safely. By leaving the job to one of the professionals at Garage Door Guru, you are guaranteed to get a garage door that will function the right way for years to come. Although you may be a tech savvy handyman around the house, some jobs are best left to a professional. Garage door installation is one of those jobs. If you need a new garage door installed, call the team at Garage Door Guru anytime. We are here 24 hours a day, 7 days a week for all of your garage door installation and repair needs.